Dr. Brian Snoddy joined Birmingham Heart Clinic as an interventional cardiologist in 2002. 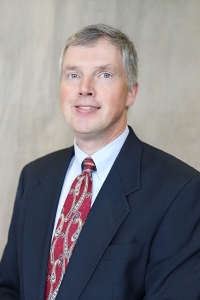 Dr. Snoddy grew up in Athens, Alabama and graduated with honors from Auburn University. He completed his medical degree at The University of Alabama Medical Center in Birmingham. While in medical school, he received several honors including Outstanding Student in Psychiatry, the Alabama Steelcase Scholarship and the award for Outstanding Achievement in Internal Medicine. Dr. Snoddy completed his internship and residency in internal medicine at The University of Alabama Medical Center in Birmingham, where he also completed his cardiology fellowship. He then moved to North Carolina to attend Bowman Gray School of Medicine for his fellowship in interventional cardiology. Dr. Snoddy is board-certified in internal medicine, cardiovascular disease, interventional cardiology, echocardiography and nuclear cardiology. He and his wife, Christina, have two children, a son and a daughter. He is also active in supporting a cure for diabetes and enjoys being outdoors.